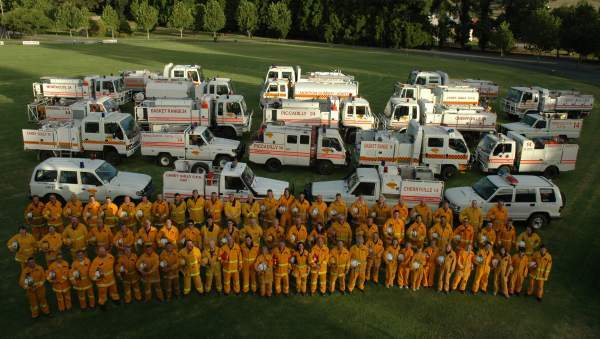 The East Torrens CFS group covers an area east of the city of Adelaide, located within the Mt Lofty Ranges. Historically named after the East Torrens Council but now within the Adelaide Hills Council area. It comprises of nine separate CFS brigades who respond to a wide range of emergencies within the area, including bushfires, road crashes, building fires, hazardous materials spills, fallen trees on roadways, and any other emergency we are called upon to assist. Crews also work within their own area to educate and assist local residents to minimise the risk of bush fires occurring within that area. Co-operation between communities and the CFS are vital in achieving this goal and we hope this website will help increase the understanding and awareness of how the CFS works. To protect life, property and the environment from fire and other emergencies whilst protecting and supporting our personnel and continuously improving.